It will be held on September 14, 2017 another round of conversation with the community. This time it will be at CRAS MOEMA in the Recanto dos Rouxinóis neighborhood. The theme to be discussed will be "Democracy & Education". 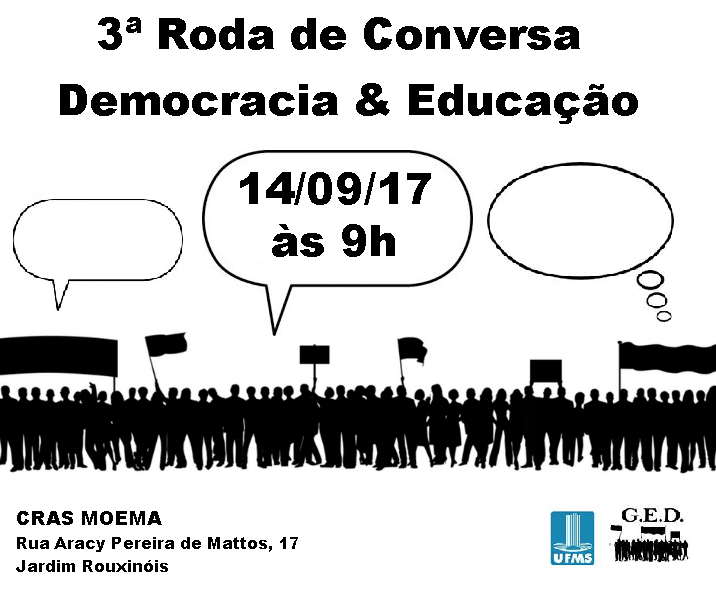 The activity counts on the participation of the coordinator of the Democratic Studies Group, professor Marta Rios Alves Nunes da Costa and students of the Rodas Democráticas project. The target audience of the conversation will be children and young people up to 14 years.